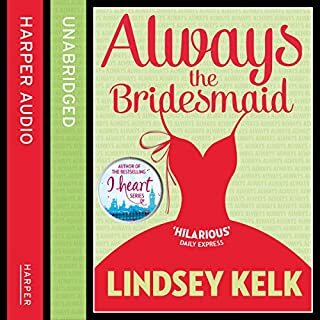 Would you listen to Always the Bridesmaid again? Why? The plot didn't sound that great when I was browsing books, but the reviews were so good, I decided to try it. Glad I did! It explores a great mix of career challenges, soul searching, friendship, and of course romance. All punctuated with sarcasm and wit. 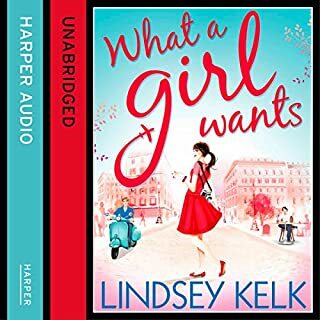 This was my first Lindsey Kelk book, and I am hooked. I'm now listening to the "I Heart" books, and they are also great, but none as good as this one. I hope more of the print books are made available on Audible. 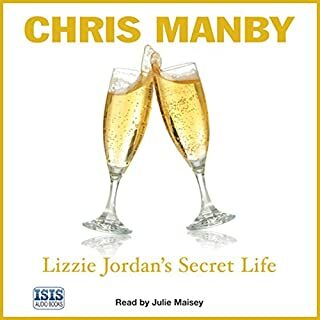 Lizzie Jordan considers herself one of life’s failures. Unlike her high-flying friends, Lizzie works as a typist, shares a grubby flat and “makes do” with her accountant boyfriend. But she has a secret love – Brian, a handsome American that she dated at university, five years ago. In her emails to him she pretends her life is a whirl of extravagant parties and million-pound business deals. First, I'd like to point out that this book has a sequel "Running Away from Richard" which I wish I would've known so I could listen to them in order. I liked the sequel a lot. The publisher's summary over simplifies the plot of this book. 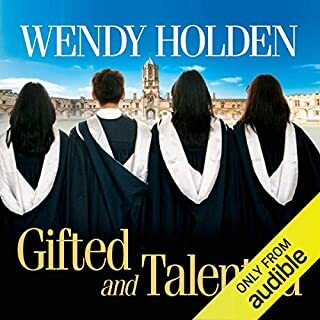 The first fourth of the book tells the story of 4 college friends at Oxford, college life, and the romance that develops between Lizzie and Brian. It's background for the rest of the book, but I found this part of it very entertaining and enjoyable. She paints a much more successful picture of her life to long distance friend Brian, and scrambles to figure out what to do when he visits. She has gotten herself into a sticky situation. The extent of her lies to Brian were a little overdone for me, and at times I found myself thinking she deserved to be found out rather than rooting for her to pull it off. If you can get past that (fairly major) detail and just enjoy the unraveling of her plan, it's fun to see what happens. This is a nice light fun romance with a touch of mystery to it. It's a short book, but I don't regret using up a credit on it. I found it entertaining from start to finish. It does end a bit abruptly. 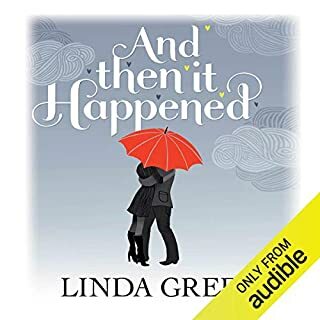 I love funny chit lit, just about all I listen to, and this book is at the top of my list! It is absolutely witty and laugh out loud funny in some spots. Best use of humor I've seen in any book in this category. 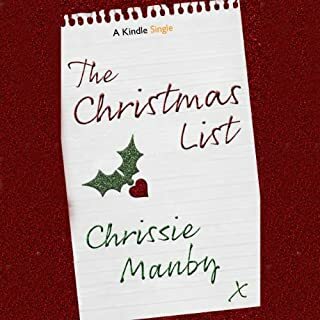 The characters are so relatable and lovable, and while romance is the focus of the plot, it's fun to get lost in all aspects of the main character's life - work, social, family, neighbors, diet, health. It's nice and long, in a I'm-so-glad-I'm-not-getting-close-to-the-end kinda way! Can't wait to pick out my next Sarra Manning and Julie Maisey books! When I read the description of this book, I thought it sounded like a selfish parent's guide to parenting. But a good friend loved it, so I gave it a chance. Wow, was it eye opening! 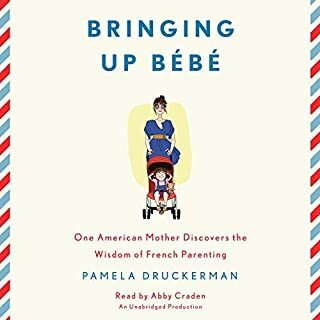 Instead of seeing the French parenting style as selfish, I see the benefits of adding more structure to the daily routine and meals, can laugh at an outside perspective on the hyper competitiveness we Americans have in sports and academics, and most of all - in one week I have let go of a great deal of guilt I carry for doing anything for myself. I see the great value in letting the kids just explore for long periods of time, and the value of letting them get bored and learn to be patient. This book is light and entertaining, reads like a novel. The narrator is fantastic! I'm now listening to it a second time. Can't wait to try out a lot of these techniques! Oh, and I'm now laughing at all the commercials on kids TV and ads for kids activities that boast to help your child "get ahead", "get a head start", etc. Sheesh - what is the big hurry anyway?? This book grabbed me right from the beginning, I couldn't "put it down". I really felt invested in the plights of all of the characters. 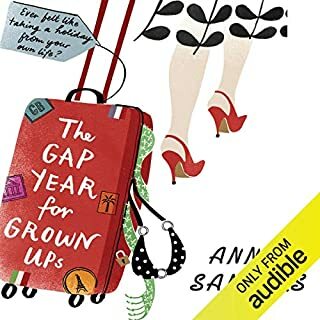 4 main characters: Isabelle, college freshman, Diana, recently divorced, with new job, new neighborhood, new school for her daughter, Richard, recently widowed American, relocated to UK for a fresh start, Ollie, recent college grad, struggling to find his first "real" job in a depressed job market. There is an element of starting over for all the characters, but none turn out exactly as they expect. There are several other minor characters I fell in love with as well. The only reason for 4 stars instead of 5 is that the antagonist characters are a little over the top, unrealistically pure bad. If you get to the middle and find yourself irritated with how bad the "bad guys" are, stick with it, as the actual plot stays good till the end! This is about the 5th Annie Sanders book I've read. The plot - as with all her books - is great - got me interested right from the beginning and kept me on the edge of my seat wondering what would happen next. I love her style of alternating points of view each chapter! There are parallel stories of Sarah, David, and Claire, all interwoven together. Sarah and David are 40 ish and Claire is 19 ish. If you've ever daydreamed about giving up the responsible day to day existence of work, dinner, chores, predictable social life, to pursue your dreams and passions, this book will walk you down one outcome of that path. Loved it! PS - I almost didn't read this because another reviewer described it as depressing, but I didn't find any of it depressing - the challenges and relationship struggles are the drama that make it so intense. 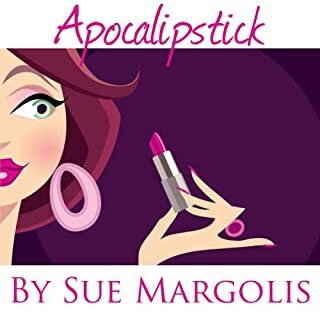 From the No1 Bestselling author who brought you Gucci Gucci Co, Neurotica and A Catered Affair comes a hilarious new novel about falling in love, hating your job, and getting what you want out of life - without ever smudging your lipstick! When it comes to men, beauty columnist Rebecca Fine always seems to be on the scruffy end of the mascara wand. But all that changes the morning she meets Max Stoddart, her new colleague at the Daily Vanguard. The writing is very funny, but the plot didn't hold my attention. I've tried listening to this over and over for months, and I end up daydreaming, then eventually turn it off. I finally just gave up and am looking for a new book. Wow - this book was not at all what I expected. It is a story of an unfathomable catastrophe that happens to a family of 3 - Mel, Adam, and 4-year old daughter Maya. The family is put to the test and defines a whole new level of level and commitment. Based on my last read of Linda Green ("Things I Wish I'd Known", awesome book! ), I expected a story of intrigue with a bit of humor - well, there is some humor in this book, but it is dark humor. The primary story line is very sad. For me, having a husband and 4 year old daughter myself - it was just too depressing to put my head in this family's life. Having said that - if you enjoy the inspiration of undying love and commitment, of rebuilding your life after tragedy, this book will not disappoint. I could not wait to see what happened next.